L to R: Richie Foley, John Gorman, Willie John Kiely, Joe Cleary, Stephen Lanigan, Kevin Tobin, Mark Ferncombe, Eoin Brackett, Johnny Burns, Pat Grant, Stephen Enright, John O'Leary, Alan Tobin. 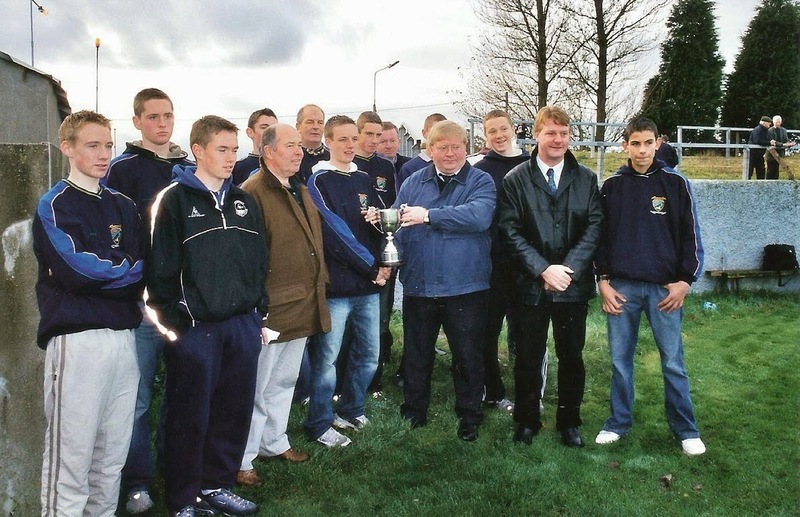 This week's photo, taken at Walsh Park in 2003, shows Pat Grant presenting Ballinacourty captain, Mark Ferncombe with the U16 County Football trophy following victory over De La Salle. This win was the second of three successive titles at the U16 grade.